Year: 1952 Item #: 780 Views: 3,799 Comments: No Comments. 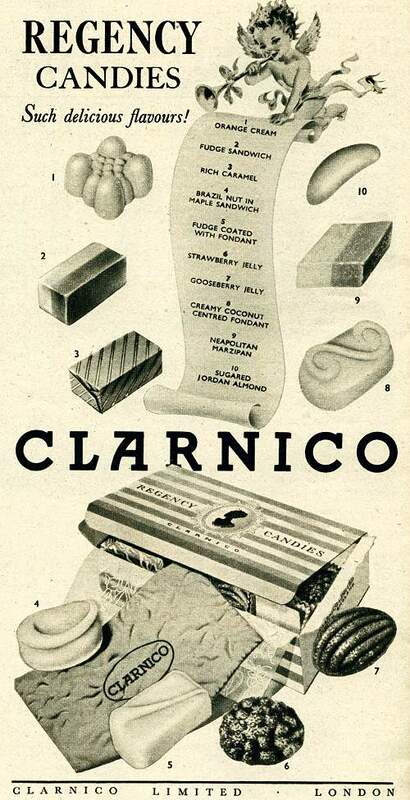 Regency Candies. Such Delicious flavours! Clarnico.